Following the statement issued by the Health Ministry today, that two Cadbury chocolate products contained pig (porcine) DNA, the Malaysian Islamic Development Department (Jakim) has suspended with immediate effect the halal certification for the two products, Bernama reported today. The two products are Cadbury Dairy Milk Hazelnut, with batch number 200813M01H I2 that expires on November 13, 2014 and Cadbury Dairy Milk Roast Almond, with batch number 221013N01R I1, that expires on January 15, 2015. According to Bernama, Jakim director-general Datuk Othman Mustapha said the move was taken based on the Health Ministry’s findings. “Further and thorough investigation will be carried out to determine the actual cause of the contamination of the products,” he said in a statement in Kuala Lumpur today. Othman said Jakim had carried out periodical checks on the product manufacturer on February 20 and found that the company complied with the halal certification standards. Meanwhile, he called on consumers not to be too worried with the use of Jakim’s “halal” logo as constant monitoring was being done from time to time. “If there is any breach or non-compliance with the halal certification requirements, Jakim has the power to suspend or revoke the halal certification immediately,” Bernama quoted him as saying. Meanwhile, Bernama has reported that Cadbury Confectionery Malaysia has taken immediate action by recalling its two products which were tested positive for traces of pig DNA (porcine). Its head of cooperate affairs, Raja Zalina Raja Safran, said they were informed that only Cadbury Dairy Milk Hazelnut (with batch number 200813M01H I2 that expires on November 13, 2014) and Cadbury Dairy Milk Roast Almond (with batch number 221013N01R I1 that expires on January 15, 2015) analysed by the Health Ministry were tested positive for traces of porcine. “No other Cadbury chocolates are affected by this test,” she said in a statement today. According to Bernama, Cadbury Chocolates wished to reassure consumers that all its products manufactured in Malaysia were halal-certified by Jakim, including the locations and raw materials used in the production of these products. “We are undertaking a full review of the supply chain to ensure all quality standards continue to be met. “We employ stringent quality procedures to ensure that our products are of the highest standard of safety and quality,” she said. – May 24, 2014. PETALING JAYA: Cadbury Malaysia today assured Malaysians that it will adhere to food safety and halal standards. This assurance comes in the wake of public outcry and reports by the health ministry on the finding of porcine DNA in Cadbury chocolates. “Since it came light, we have been actively engaging with the authorities to investigate the issue with the highest urgency. We understand that customers are disappointed to hear the news on the recent test by health ministry on two of our products,” it said in a statement today. “We hear you and we value your comments and feedback over this issue. We understand how important halal is to the Muslim community. It is also of the highest importance to us here at Cadbury,” it said. All affected Cadbury Dairy Milk Hazelnut (with batch number 200813M01H I2 that expires on Nov 13, 2014) and Cadbury Dairy Milk Roast Almond (with batch number 221013N01R I1 that expires on Jan 15, 2015) have been recalled with immediate effect. 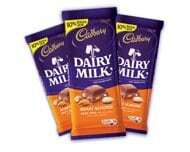 Cadbury Malaysia also reassured consumers that its other products made in Malaysia were not affected by this test. The company on Saturday said it will undertake a full review of the supply chain to ensure all quality standards are met continually, and that all Cadbury chocolates manufactured in Malaysia are halal-certified by the Department of Islamic Development Malaysia (Jakim). It said that all details pertaining to its product including the locations and raw materials used in the production are disclosed. “We employ stringent quality procedures to ensure that our products are of the highest standard of safety and quality,” the statement said. When contacted, the health ministry said that a press conference will be held tomorrow on the issue. Meanwhile, domestic trade, cooperatives and consumerism ministry will conduct immediate check to ensure chocolate products found to contain porcine DNA have been removed from the shelves by the manufacturer. chocolate products found to contain the porcine DNA were no longer being sold.